Megumi Sasaki, director of the new documentary “Herb and Dorothy 50X50,” started out at Japan’s NHK public broadcasting organization, working for its popular “Ohayo Nippon” morning news broadcast. 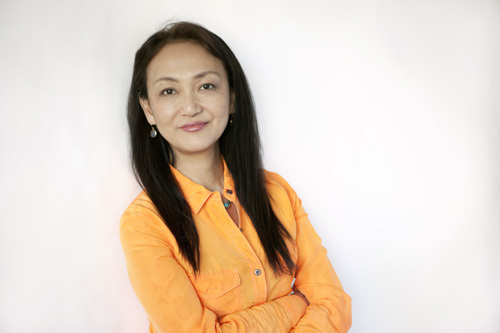 She later branched out to work as an independent documentary news director, logging time at NHK, Nippon Television, and TV Tokyo, and founded her own company Fine Line Media, in 2002. The original “Herb And Dorothy” documentary, released initially in 2008, won several U.S. awards and set a Japanese box office record for a documentary film. Her follow-up, “Herb And Dorothy 50X50,” set another Japanese record, this time for raising funds through crowdsourcing. Online appeals for donations to complete the new movie raised $220,000 from contributors worldwide. 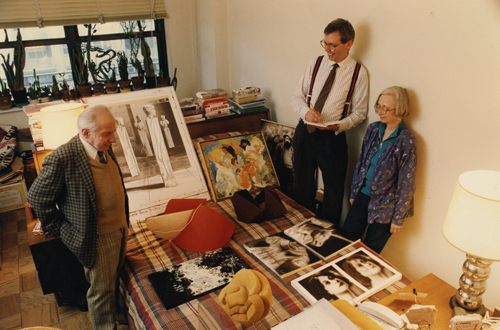 Dorothy Vogel and her husband Herbert “Herb” Vogel lived most of their adult lives in a one-bedroom apartment on the Upper East Side of Manhattan. Dorothy worked as a librarian for the Brooklyn Public Library. Herb, who never finished high school, worked nights as a mail clerk for the United States Postal Service. They both took painting classes, but abandoned creating art in favor of collecting it. They started with a few small pieces, and decided early on to live entirely — and frugally — on Dorothy’s income alone. This allowed Herb’s income, which eventually grew to $23,000 per year, to go entirely to acquisitions. The couple didn’t own a car, so their collecting was limited to pieces they could carry home by subway or taxi. They often bought directly from artists, and sometimes bartered services for pieces. The environmental artist Christo once gave them a small collage in exchange for the couple looking after his cats — an intriguing example of a smaller work from the controversial artist, whose works often cover kilometers. The “50X50” movie opens as the Vogels, now retired, aging, and in possession of several thousand works, ponder what to do with them. “50X50” refers to their solution: A program in cooperation with Washington D.C.’s National Gallery Of Art to spread 2,500 works throughout museums in all fifty American states. Some of the film addresses the uncertain state of art in America. One outlet designated by the Vogels, the Las Vegas Art Museum, closed its doors in 2009. It just couldn’t raise enough money from its community to stay open, although those involved with the museum hope to open it again. Herb Vogel died in 2012, at 89. The new movie concludes with Dorothy’s decision to shut down acquisitions and move the remaining pieces out of their apartment. “Herb And Dorothy 50X50” plays Oct. 4—10, at the Northwest Film Forum, 1515 12th Ave. on Seattle’s Capitol Hill. For show times, prices, directions, and more information, call 206-829-7863 or visit http://www.nwfilmforum.org/live/collection/press/2827.